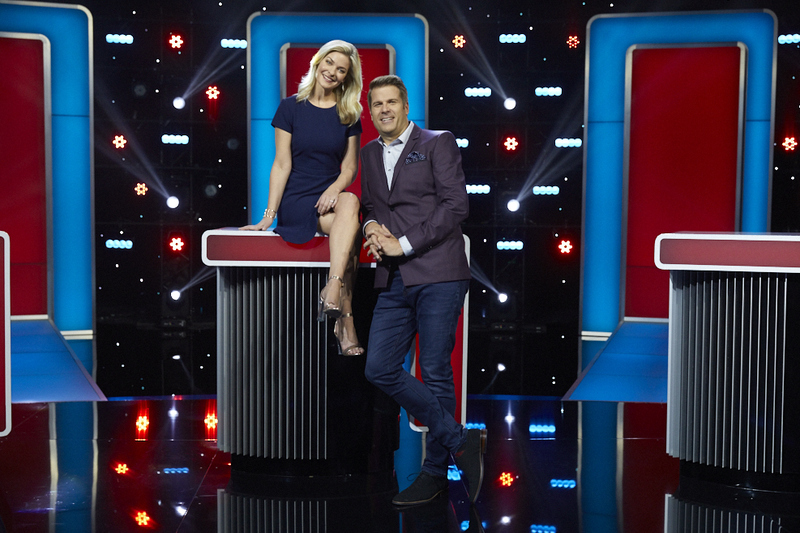 Husband and Wife duo Kylee and Sandy have always been a huge fan of game shows and love working with children, so becoming the host couple of Just Like Mom and Dad was a no-brainer. Sandy, a nine-time Canadian Comedy Award winner, and actor, and actress Kylee are also no strangers to kids and family entertainment. They both appeared on YTV/Nickelodeon’s hit sitcom Life With Boys, where Sandy played the loving, single father and Kylee played their neighbour. Sandy was also the co-host of the hidden camera game show, Deal With It and Kylee is known for her recurring roles in Good Witch and The Stanley Dynamic. Sandy and Kylee are ready to lead you through all of the bake-offs, big spins and even bigger prizes coming your way on this season of Just Like Mom and Dad! Get to know our hosts a little more! 1. I am also a singer and piano player and graduated university with a BMus vocal performance degree. 2. I am a huge musical theatre nerd and my favorite role I’ve ever played was Elle Woods in Legally Blonde. 3. I love interior design and am always redecorating. 4. I am an incredible cook! I can make a beautiful meal out of basically nothing. 5. I am a terrible baker! Like, absolutely terrible! 1. Massively into sports. Raptors, Blue Jays, Maple Leafs and Indy Colts are my teams! Love North Carolina in basketball, and despise Duke. There, I said it! 2. I’m an alumnus of The Second City comedy theatre. 3. Went to school to be a high school history teacher. 4. Once lived in Holland for a year as an exchange student. 5. So full of useless trivia information that it’s embarrassing to hear me ramble on about things very few people care about!